Book Lists. We’ve Got ‘Em! 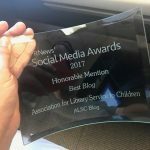 Today I’m dedicating my post to promoting all of the wonderful ALSC book lists that are available resources for you to download, reproduce, and distribute to your patrons/students. You can customize most of the lists and include library information such as your hours and address. Why reinvent the wheel? Take advantage of the hard work done by ALSC committees and use these awesome lists. Many of the lists have been created by the Quicklists Consulting Committee. Other committees that have created some great book lists are the School Age Programs and Services Committ ee, the Early Childhood Programs and Services Committee, and the International Relations Committee. The committee members put a lot of thought, research, and effort into creating these lists. Several of the bibliographies are annotated. 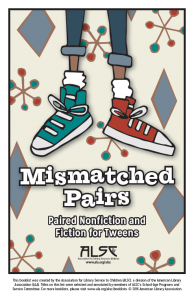 Three of the newest include the 2017 Building STEAM with Dia list, Mismatched Pairs: Paired Nonfiction and Fiction for Tweens, and the Unity. Kindness. Peace. book list. A few of my favorites include the Graphic Novels Reading Lists, the Summer Reading Lists, and the Building a Home Library list. 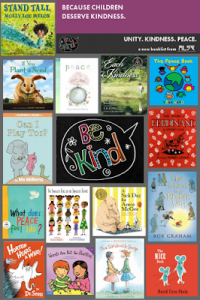 You can find all of these book lists and more here. 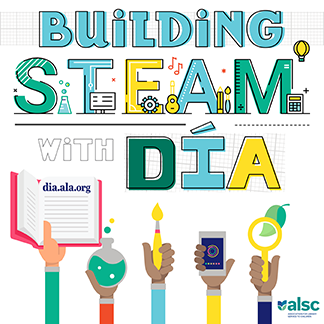 How many of you readers take advantage of this wonderful ALSC resource?